Technology has entered every part of our regular lives, whether we realize it or not. The smartphone in your pocket, the oven you use to heat your dinner and the smart TV you stream Netflix on, they are all inseparable parts of you and your family’s daily life. However, technology may have more to offer to your home than you have caught up on. Let us now take a look at few of the selected products which can actually make your home smarter and your lives easier. Smart lights make sure that you no longer have to worry about switching off the light when you leave a room. The lighting system adjusts to the available daylight in the room by dimming or brightening accordingly, switches off when you leave the room and switches back on when you enter it. Pair a few of the lights with your security cameras and the bulbs will start flashing if those cameras detect any movement around your home. Apart from the practicality, smart lights also offer wonderful aesthetic value by adjusting their colors and temperature according to the mood of the occupants or the music being played in the room. Although there are quite a few options out there, the Philips Hue and the Samsung Smartthings are probably among the best available right now. A must have for any smart home; the smart thermostat allows you to control the temperature of your home from a smartphone, a tablet or a laptop. Some of the more expensive ones even support controlling of the air-conditioning or the heating system in your home through voice commands. When the house gets cold, just turn up the heat while lying on your bed or make sure your home is as cool as you want it, even before leaving your office. However, what makes the smart thermostat REALLY smart is its capability to learn what you want. Over the course of time, it will learn what you like and when you like it. As a result, pre-programming and manual adjusting slowly becomes less and less necessary. The Nest Learning Thermostat is pretty much the best that there is, but the ecobee3 Wi-Fi thermostat is arguably just as good. Smoke alarms are now a necessity in homes, but the smart smoke alarm offers one unbeatable advantage over the traditional smoke alarm. They will let you know if something in your home goes wrong when you are not there. The system will send emergency notifications to the paired smartphones as soon as there’s smoke in your home, irrespective of your location. The best ones include Nest Protect 2nd generation smart Smoke Alarms and the Roost Smart Battery. Apart from these, there are also various other smart products available in the market for homes, like smart locks, smart home audio systems, smart security cameras, etc. 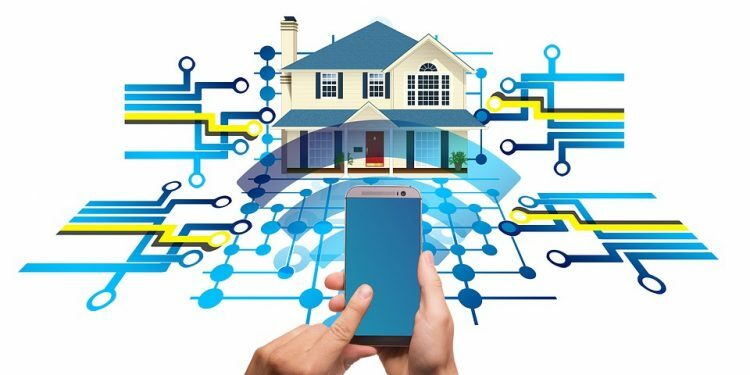 Although you can pick the best home for you and your family from real estate auctions, in order to make it a smart home, you will need to augment it with the right pieces of technology. Choose carefully and choose well.